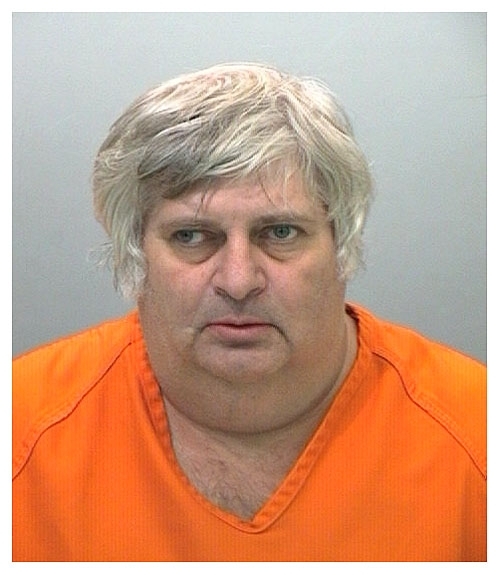 Vincent Margera, better known as Don Vito on the MTV show 'Viva La Bam,' was arrested by Colorado cops in August 2006 and charged with two felony counts of sexual assault on a child. According to police, Bam Margera's 50-year-old uncle inappropriately touched two girls (ages 12 and 14) while signing autographs at a mall. Margera, who faces up to two years in prison if convicted of the charges, spent about a week in the Jefferson County Jail (where he posed for the above mug shot) before posting $50,000 bond. Submitted by AtomicBomb on Tue, 2011-04-19 17:33. Submitted by nIT2winIT on Mon, 2011-01-03 03:28. Big fat nasty gross ugly bug-cross eyed cheetah chestah perv. I hope when he gets up in the big house, a bunch of those convicts "inappropriately" touch him. Submitted by roydawgg on Wed, 2010-11-10 18:10.